Change and growth inevitably force companies to make critical decisions at unexpected moments. Acting under pressure, many organizations make decisions that fall short, that operate in a frustrating cycle of trial and error, that can waste millions of dollars. How should organizations reach decisions that successfully impact their enterprise? What elements are essential in surfacing the best decision a team can make? Management experts consider the Cuban Missile Crisis one of the most successful decision making processes in history. In 13 pressure-packed days, President Kennedy's Executive Committee debated and successfully resolved how to respond to the threat of attack by Soviet controlled nuclear attack, think of what these elements can do for your organization's decision making teams. 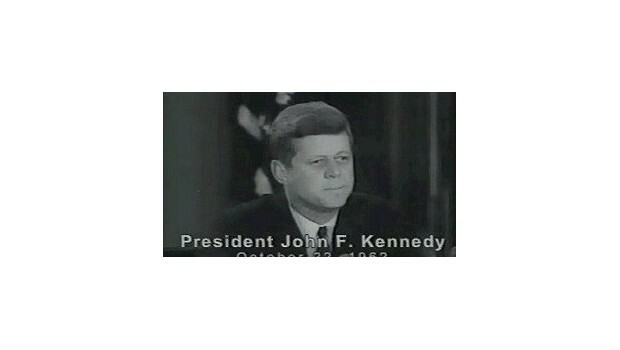 The Cuban Missile Crisis video is not a history lesson, but an examination of the leadership style and processes that led President Kennedys Executive Committee not just to a good decision, but to the optimal decision. If the five essential elements of leadership and work processes used during these meetings led to a decision that neutralized the threat of nuclear attack, think of what these elements can do for your organizations decision making teams.